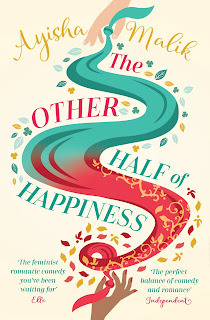 The Other Half of Happiness is the sequel to Sofia Khan is Not Obliged and therefore this review may contain spoilers for the previous book. Reader, she married him. After eloping in Pakistan, Sofia is worried her mother will never forgive her. It's not that Conall's white, it's the fact they denied her a wedding. Wedded life isn't bliss either. Stuck in a poky flat in Karachi, with her husband out all hours making his documentary, Sofia starts to miss home. What the hell has she done? Note for book: There is an abyss in the line between glad and unhappy; make sure you don't fall into it. I loved Conall's character in the first book so I was a little disappointed in the direction the sequel took. However, married life is never going to be perfect and the reality of marrying someone she barely knows hits Sofia not long after the deed is done. This must be a real problem for those who don't do long term relationships before marriage, whatever culture you're from. Doubled with the fact that divorce is so frowned upon. Following her father's death, it's clearer that Sofia's mother didn't have the marriage she wanted. Her husband wasn't her first love and in the main, their marriage was hard work. She thinks her daughters should work at it rather than face the disgrace of divorce. Though I did like the simplicity of the Muslim divorce (just say it three times with an Imam present and you're done). If I'd built my emotional immune system more before I married Conall, would this hurt less? More is revealed about Conall's family and his past, including something everyone is shocked to hear. His family is Catholic and his brother suspects Conall has been radicalised, or as Sofia's mum would say, become a fundo. Not by Sofia, of course, but that stresses have left him vulnerable and he's run off to do harm. Despite everything, Sofia still has faith in him. Anyway, it's not quite as fun a book as the first, but it maintains the tone of narration if not of subject matter. I guess the first book is about dating and the second is about marriage, and the baggage it comes with. Plus Sofia gets some purpose beyond finding, and keeping, a husband. In the end, I've realised that people are just obsessed with others living like they do. No matter who they are. 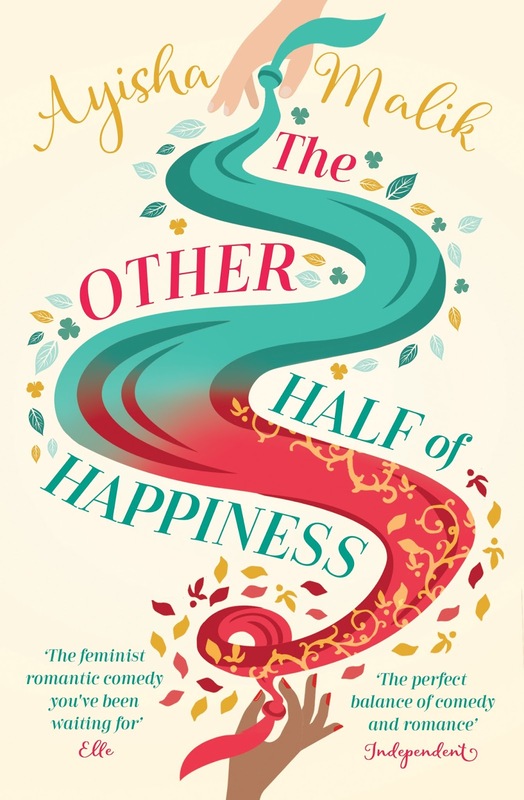 The Other Half of Happiness is published by Twenty7, an imprint of Bonnier Zaffre, and will be available in paperback and ebook editions from 6th April 2017. Thanks go to the publisher for providing a copy for review via NetGalley.